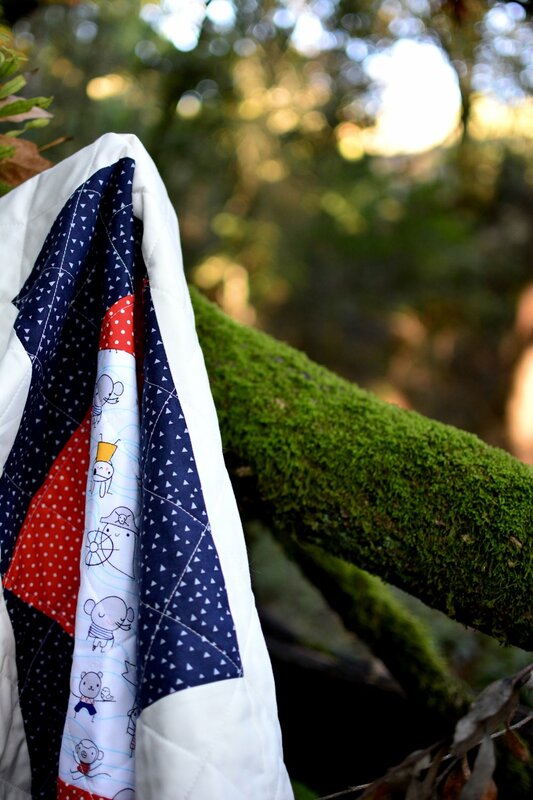 Lately I have been busy making baby quilts, or should I say pug quilts. 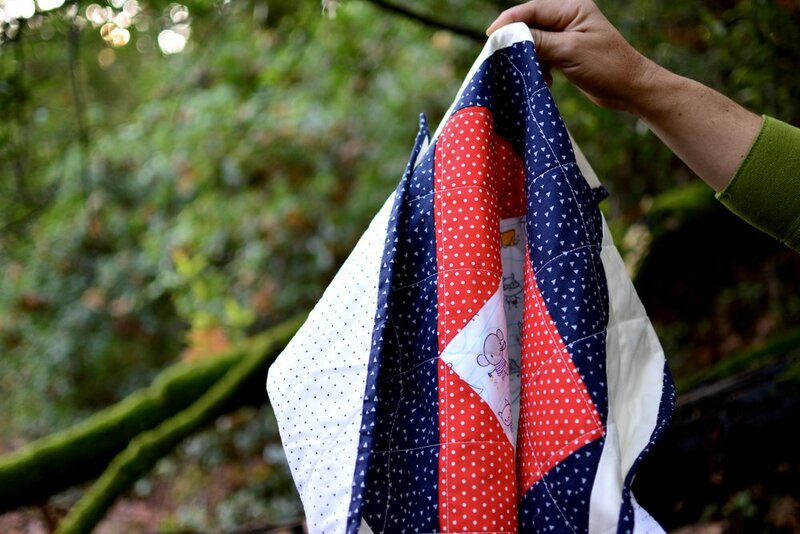 My beloved pug babies love mommy's quilts, so I've been super inspired making them their own quilts. This one is a simple design but I love how it turned out. I used fabric from my stash that I have been wanting to use for a while, but I didn't have enough to make a larger quilt. The back is leftover from another quilt and the batting was also leftover from various projects (and it have to be pieced). 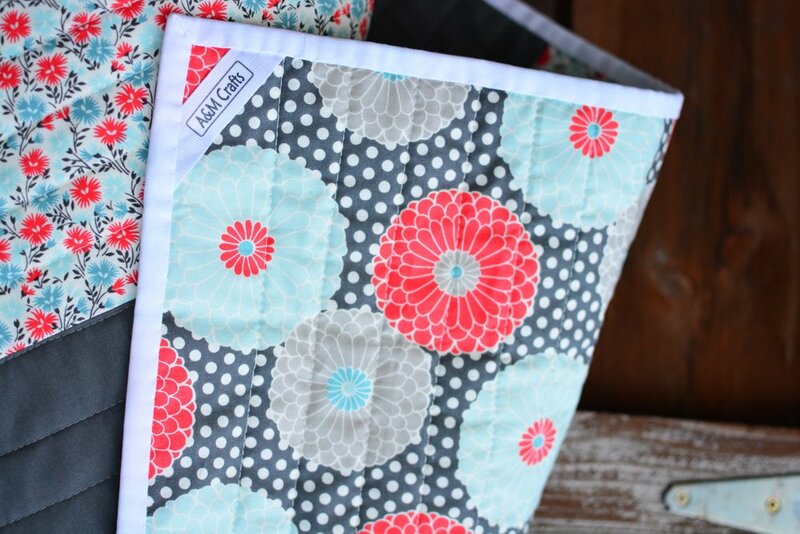 But my girls love their new quilt and I loved using what I already had in hand. 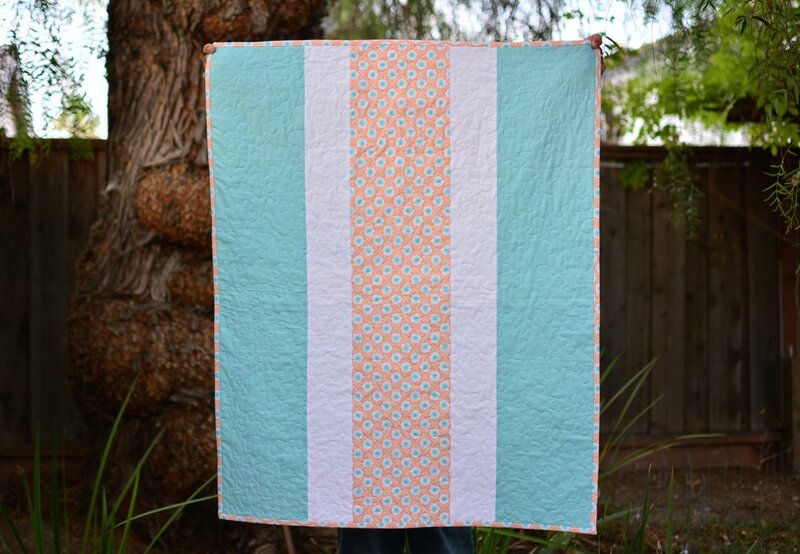 Can't wait to show you the other tow quilts I made. I wish you have a wonderful week. It has been a few weeks since I sewed anything until today; and it got me thinking how our emotions play a big role in our creativity. Things have been quite emotional in our home. My beloved pug Mona has been very sick. It has taken many visits to the Vet and Vet specialists to find a few answers and her diagnosis is very discouraging. However, today she was feeling better; thus I felt compelled to sew. Mona loves quilts so I decided to make her a new quilt. So she can feel a hug from mommy every time she sleeps on it, specially when she is not feeling very well. 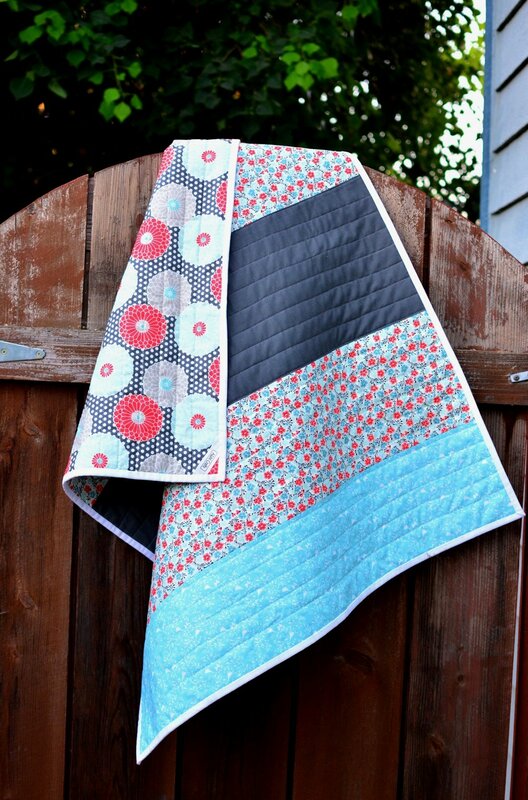 I wanted a quick finish so Miss Mona could start using her quilt right away and this design really fit the bill. All the fabrics were in my stash already and they happen to coordinate very well. I love using what I already have. As I type this little Miss Mona is sleeping all bundle up on her quilt, which makes this project ever more satisfying. I hope you have a lovely week. Please keep my baby on your prayers. I'm so happy to have finished this quilt. 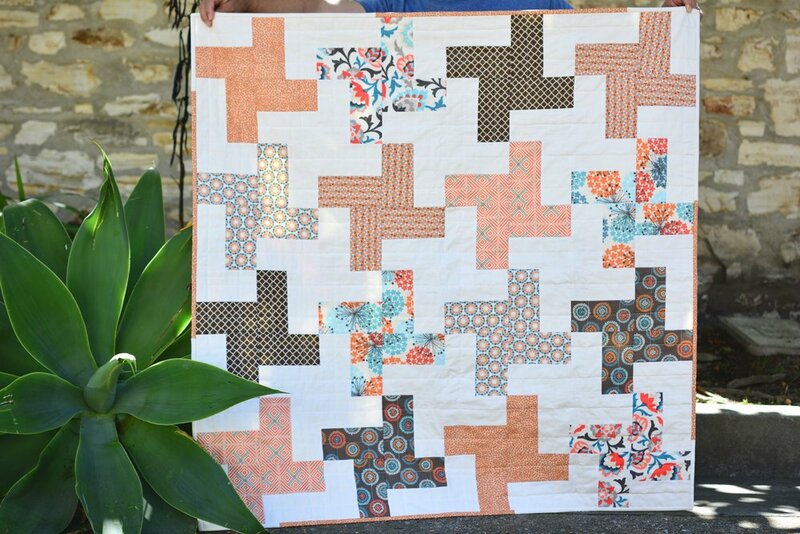 A half square triangle quilt has been in my to do list for a long time. So it feels really good to finally check this off my list. The fabric has been in my stash for the longest time so if feels equally good to put it to good use. I've been trying to use up the fabric in my stash before I acquire any new one. So far it has been working out, lets see how far I can go. This quilt is on the larger side: it measures 70X70 inches and after finishing it it has given me the courage to tackle larger quilts in the future. 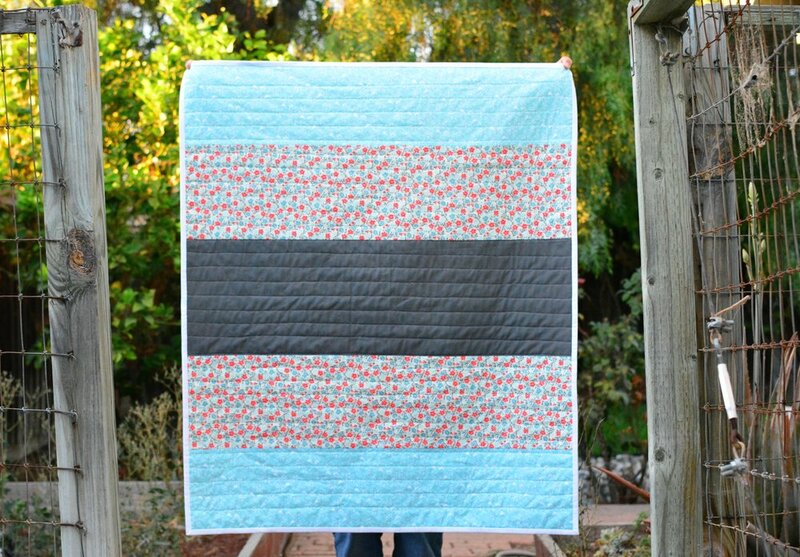 Can't wait to start my next quilt.